Bellcourt Dental Limited is a dental practice established in 1970 to provide the best dentist treatment possible for their patients. This is still true today by using the latest materials and techniques in a relaxing and professional environment. Everything at Bellcourt Dental practice is designed to make your appointment as comfortable, relaxing and as safe as possible. 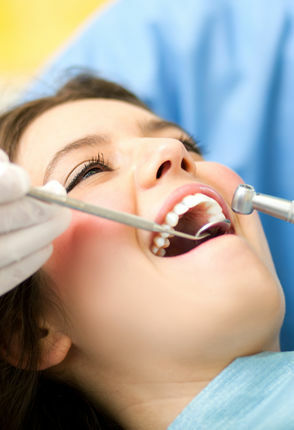 All forms of dentistry are carried out at our practice. When required, we also refer patients to specialist dental surgeons (e.g. orthodontists, periodontists, maxillofacial surgeons etc.) This provides our patients with the best possible treatment, tailored to their needs. Oral cancer screening is routinely carried out at every dental examination and also the hard and soft tissues of the mouth are checked for any sign of abnormality. both South Africa and England obtaining his Bsc (Hons) degree at Stellenbosch in 1999. He has worked in the surgery since 2000, taking over ownership from Tim Bugler in 2004. ALISON BRYSON, our hygienist, works in conjunction with our dentists to provide you with regular dental care. SALLY, on reception and admin and HELMER, who is Paul’s assistant. Marija is the associate dentist at Bellcourt Dental Ltd. She has a gentle approach as a general dental practitioner and has a special interest in cosmetic dentistry. Marija graduated from the University of Belgrade in 2011. She worked in her family’s dental practice in Serbia until moving to the UK. She joined Bellcourt Dental Ltd as an assistant while preparing for her ORE exams which she passed in 2018.